Re-union of the Wheeler family, a pamphlet produced in 1879 to commemorate a meeting of the Wheeler family in Acton, Massachusetts. The pamphlet includes a short family history and a description of the Acton homestead occupied by four previous generations of Wheelers. 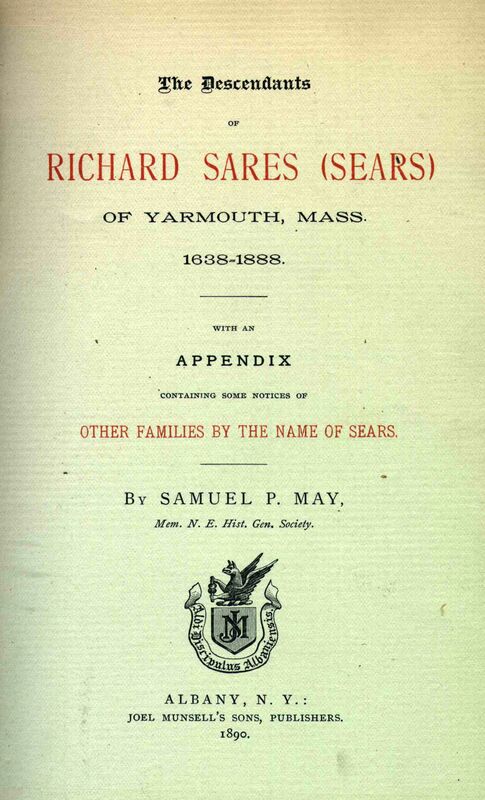 The Descendants of Richard Sares (Sears) of Yarmouth, Mass., 1638-1888, a 665-page genealogy written by Samuel P. May in 1890. The e-book was scanned from May’s personal copy, and includes extensive handwritten notes and corrections by the author. 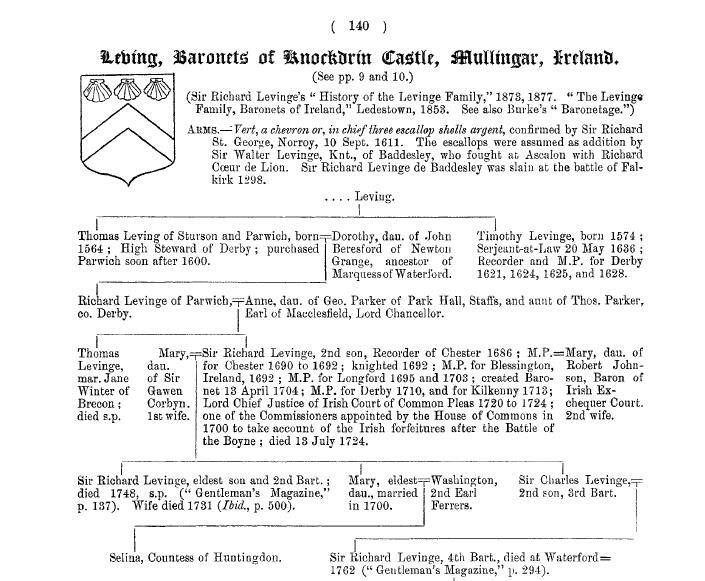 History and pedigree of the family of Lewen, which gives an account of the descendants of John Lewyn of Durham, England, from 1378 to 1902, including more than eighty pages of detailed pedigree charts. Our online family history collection also includes a growing number of more recently published genealogies acquired through digital donations. Donations have always been a major source of new acquisitions for NEHGS’s print collection, and in recent years we have started to receive donations of e-books from authors of genealogies as well. Some notable recent donations include materials on the Calkins, Johnson, McCully, and Sears families. 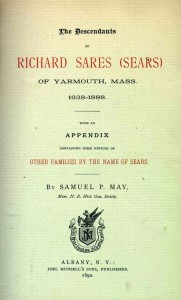 Whether the book was published in 2014 or 1814, being able to put an electronic copy in the Digital Library gives us a great opportunity to increase access to a work of family history – particularly in the case of self-published items, which may not be as widely available as books distributed by a publishing company. You can browse a list of all of our online family histories – both old and new – in the NEHGS Digital Library and Archive.